Q: Does your attraction to Mexican folk art have anything to do with the way you see life or your taste for color? 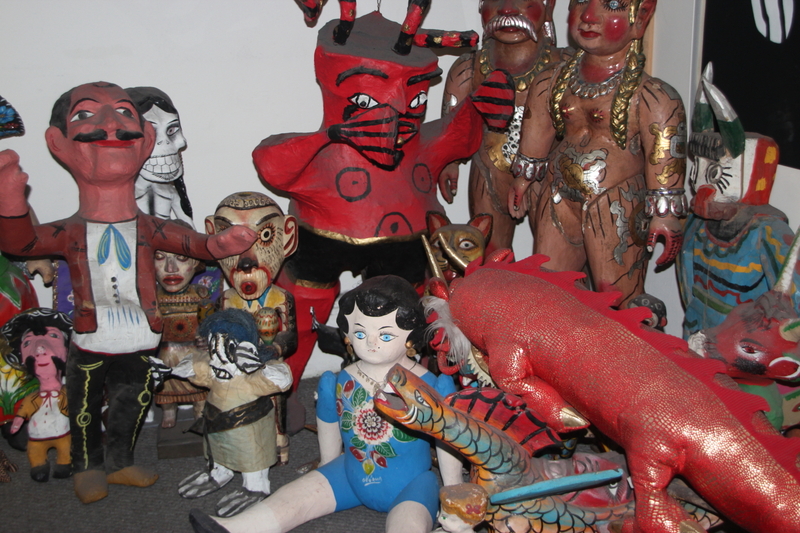 A: Initially, it was the fact that these folk-art figures opened up an entire new world to me. I had learned almost nothing about Mexico in school, a fact I found mystifying, considering Mexico is the United States’ southern neighbor. When I started collecting, I was launched on a rich intellectual adventure with seemingly no end. The folk art figures had so much to teach and prompted many questions. Most were unanswerable, but still, I was curious: who made them, why, how, what did they represent, what did they reveal about the maker’s worldview, how did they fit in with historical and contemporary forces, etc.